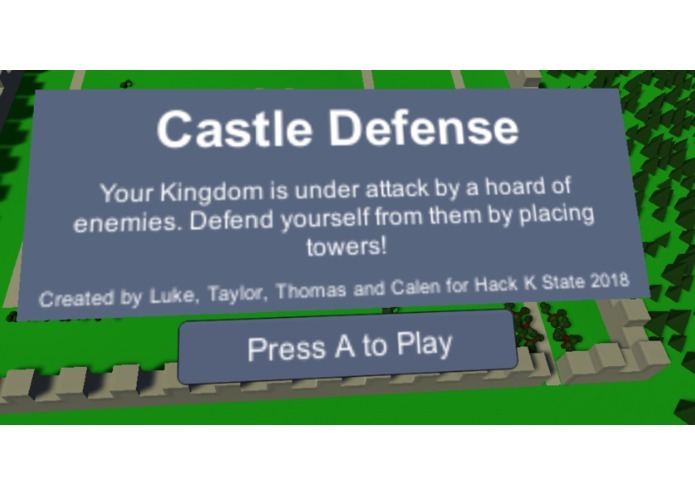 Castle Defense is a 3D, top down VR tower defense game. We were inspired by a number of different things. Much of our mechanics were inspired by the Bloons Tower Defense series, and much of our art style was inspired by low poly games, such as Equilinox. It's a VR take on a tower defense game. 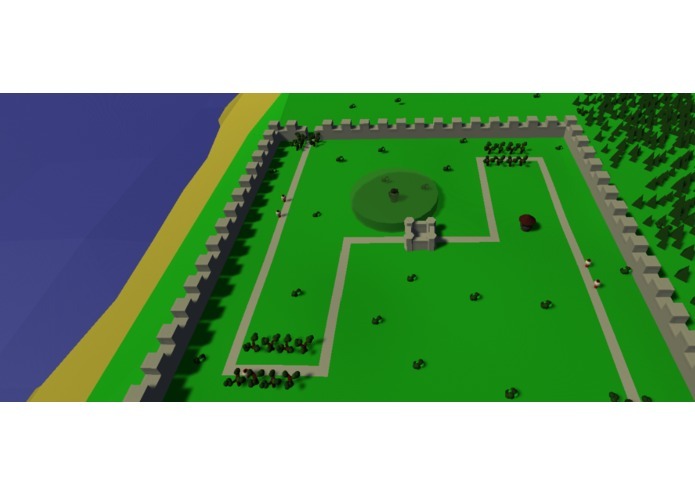 Players can spend in-game currency to build towers, which attack the enemies that follow a path towards the castle you are trying to protect. Defeating enemies will earn you more in-game currency, which can be exchanged for 3 different tower types: Cannon, Archer, and Mortar. If the enemies reach your castle, it's game over. The enemies get progressively harder as the game goes on. We created our 3D models in Blender, wrote our game logic in C#, recorded our sound effects in Audacity, wrote our music in LMMS, and used the Unity game engine to bring it all together. Perhaps our biggest challenge was getting our Oculus Rift to work. We first were unable to get Oculus Rift running on one of our laptops, and after 6 hours of trying to fix it, we checked out an Alienware. After that, it was another 6 hours before we saw our game through the rift. Despite these setbacks, we were able to overcome them and get the game to operate at the level we hoped for. We are Proud of making a complete and playable VR game, especially to all of our inexperience with VR. And learning how to code and work with new software, some completely unknown to us beforehand. We learned how to use unity, blender, and how VR works. We learned how to edit music in LMMS and audio in Audacity. We enhanced our knowledge of C#. We hope to add more Levels and other improvements such as more towers and enemies.